Personalized jewelry makes a statement that is uniquely yours. As a gift, it's one that the recipient is sure to treasure. When you choose a piece of jewelry for yourself or someone else, in a sense, you're selecting something that is "personalized." You choose an item based on certain colors, materials, or types of jewelry that fit you or the recipient. You can extend this personalization, however, with inscriptions, engravings, names, letters, initials, special emblems or logos. With today's ever-expanding technology, virtually any piece of jewelry, from the conventional, like necklaces, to the unconventional, such as toe rings or other body jewelry, can be personalized. Although less common, some types of earrings can also be personalized if desired. Anklets, toe rings, body jewelry, watches, cufflinks, key rings, and money clips are available with personalization as well. Dual birthstone jewelry that shows your birthstone as well as that of your significant other, like this ring found at Zale's, which can also be engraved with a couple's names. Sister jewelry is also common. 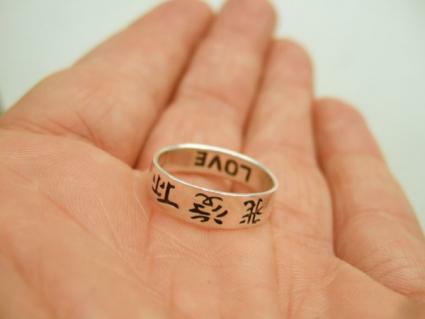 Sisters may wear the same rings with inscriptions such as "Always Sisters," "Sisters Forever," or other meaningful phrases. Shareable necklaces, where each sister wears a half of a heart, circle, or other pendant shape on her own necklace, are also popular. Other family jewelry includes engravable family tree pendants, family name bracelets, family photo jewelry, and family birthstone rings, necklaces, and bracelets. Friendship jewelry, like sister jewelry, is often made up of two similar jewelry items or halves of a pendant or charm. 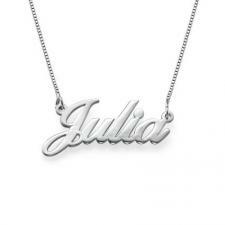 Special nicknames, messages, or phrases, such as friends "Friends Forever," can be engraved in friendship jewelry. Layered friendship necklaces and customizable friendship bracelets are other ways to show your close friendship. Price varies dramatically when it comes to personalized jewelry. A simple bead and block letter name bracelet might cost you under $20, while an engraved diamond engagement ring may cost thousands of dollars. Keep in mind that you may incur extra costs for engraving jewelry items. You can use personalized jewelry to express yourself or show someone else you care enough about them to find or create something extra special for them. Because of the various price points, you should not have a difficult time finding personalized items for anyone on your shopping list.